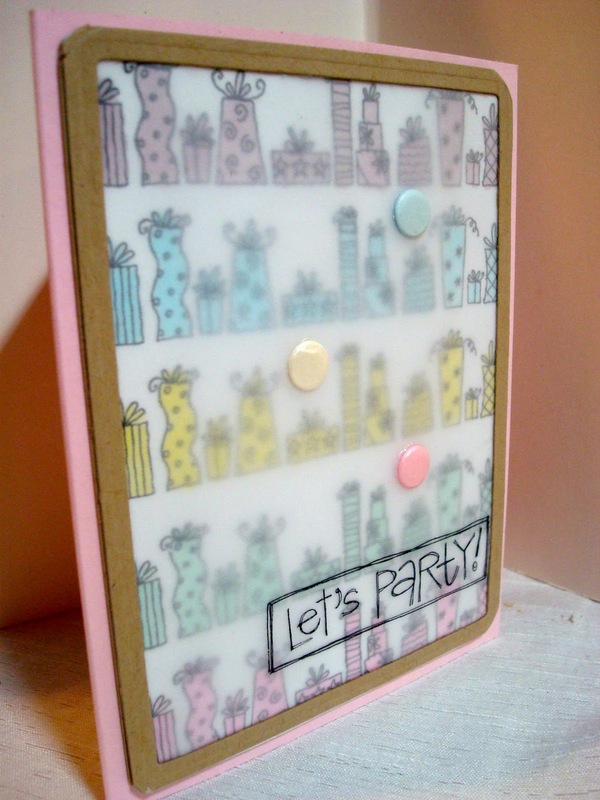 Amy's Creative Pursuits: Let's Party! Hello! Are you ready to party? If you are, I have a fun birthday card to share with you today. I used a retired Stampin Up! Christmas Stamp "Crazy for Christmas", to make my card. I simply turned the Christmas presents into birthday presents! 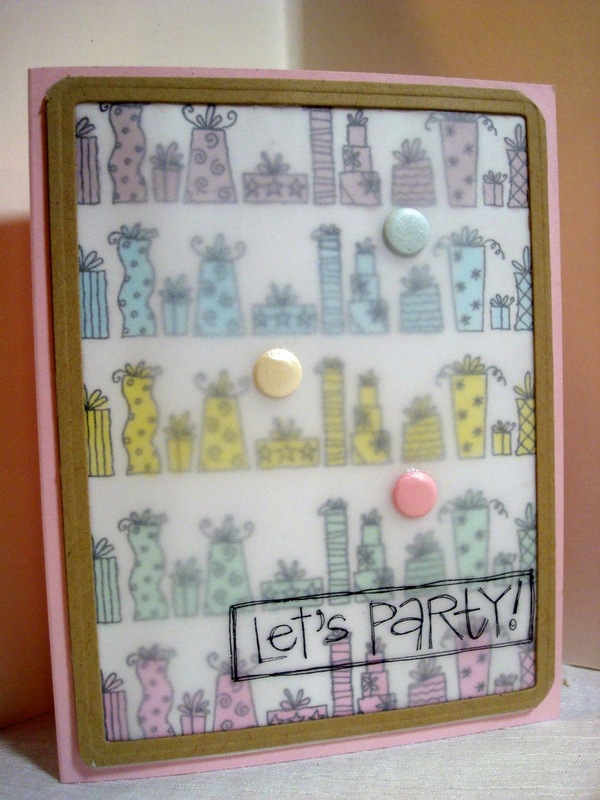 Using a stamping guide, I stamped the image multiple times and then colored them in with pastel markers. I then stamped a dollar stamp sentiment onto vellum and glued just the edges to the present panel. Using Nestabilities, I cut out a large Kraft frame to hide the glue. I finished the card off with some pastel embellies, but it would have been fun to put some confetti in-between the layers too. Maybe next time. Because of the vellum, it was a hard card to photograph so here are a couple of different angles for you to get a better idea of how it was constructed. Oh wow this is just too cute Amy!! 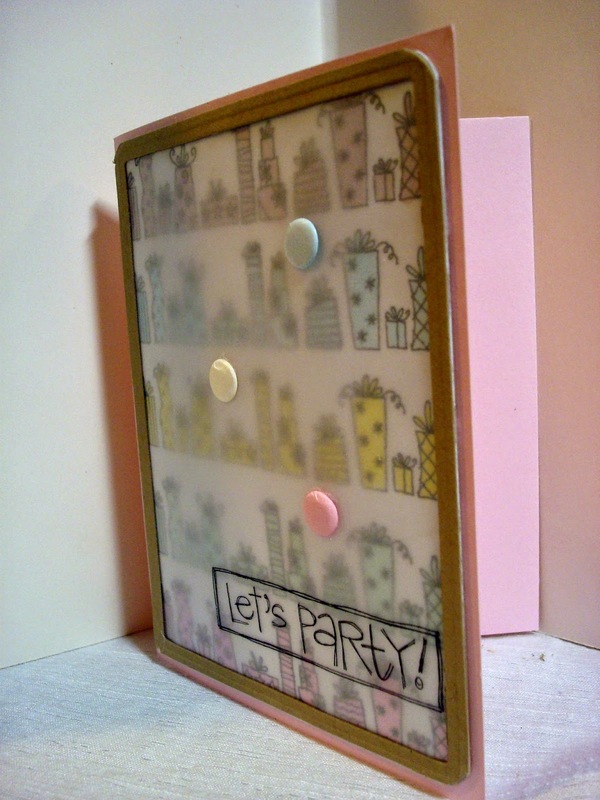 I love the vellum overlay! Another super creative card Amy. Love the use of vellum! You always have such fantastic ideas!! Lovely card and I too like the vellum! Fab design! Fashion Over Fifty: Loving Chambray!